← What Do Your Little Ones Learn in Preschool? As parents, we only want the best for our children and that includes providing them with the means and opportunities to reach their potential. There are a number of ways we can do this but one of the most effective is through an early education. Whether you send your child to a day care center in New York or educate them in the comfort of your own home, there are multitudes of ways your little ones are able to benefit from early childhood education. The main reason why you will want to consider early childhood education is due to cognitive development. It is never too early to teach your children something and this education can help stimulate the mind of your little one. This kind of education will not only help provide them a head start but it will also help make it easier for them to learn new things or understand different topics much easier. 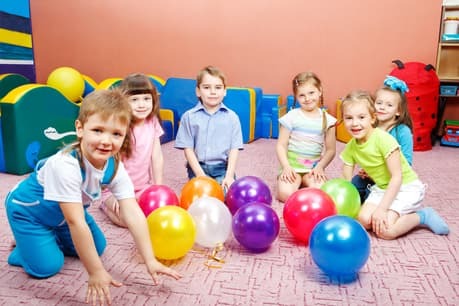 If you provide your little one with an early education at a preschool or child care in Bronx, New York they will be able to socialize with other kids their age. This will not only help them make friends but it can also teach them many valuable things such as teamwork, leadership, and how to get along with other kids. These are social skills that can actually help your little one in their entire lives. Another advantage of providing your little one with an early education is the fact that it is fun. Learning and experiencing new things can feel like an exciting adventure. Your little one will definitely look forward to their next lesson. Those are just a few of the many benefits that your little ones can enjoy when you provide them with an exceptional early childhood education. If you would like to find out more about this kind of education or if you are interested in learning about the programs we are providing, please do not hesitate to get in touch with us at Tender Years Childcare for more information. This entry was posted in Preschool and tagged Child Education, Child’s Development, Day Care. Bookmark the permalink.